Of all the siding materials you could use on your home, cedar shingles are one of the most attractive and long lasting. It’s not uncommon to see eighty-year-old homes still looking good in their original shingles. But over the years, you might notice some of them becoming brittle and cracked, especially on the south side of the house where they take a beating from the sun. The good news is, removing and replacing cedar shingles isn’t brain surgery and sometimes you only need to replace a section, not the whole wall. You’ll need a hammer, gloves, safety glasses and an assortment of flatbars and shingle removers, which have special notches to remove the hidden nails. 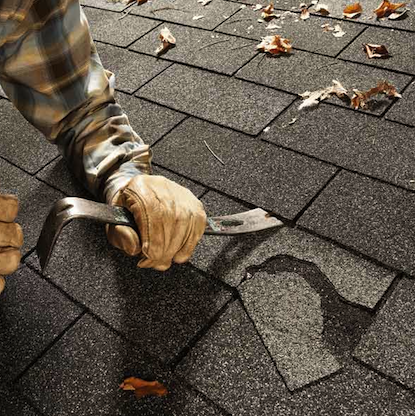 To remove a number of shingles at once, start at the bottom and work your way up, making sure you’re removing all the nails as you go. Pry shingles from the side to avoid flying splinters and nails. Before long, you’ll have a good area of exposed sheathing ready for housewrap and some new shingles.